Evidence of the effectiveness of programs to change gendered social norms related to intimate partner violence (IPV) is growing, but their potential to significantly impact actual occurrence of IPV at population level is lacking. We study whether modest changes in gendered social norms related to wife-beating can result in significant changes in the incidence of emotional, physical, and sexual IPV among ever married women in Uganda. We employ an imputation-based causal inference approach, based on nationally representative Demographic Health Survey data. The steps are (1) model the association between adjusted neighborhood norms and experiences of IPV using a random effects logistic regression model, (2) impute unobserved counterfactual probabilities of experiencing IPV for each woman while manipulating her neighborhood norms by setting it to different values, (3) average the probabilities across the population, and (4) bootstrap confidence intervals. Results show that statistically significant inverse associations between more prohibitive neighborhood IPV norms and women’s experiences of different forms of IPV at the population level exist. The effect is however small, that even if an entire community disapproves of wife-beating, incidence of IPV falls by about 10 percentage points to 48.5% (95% CI 46.0%–50.9%) from the observed value of 57.6% (95% CI 55.2%–59.9%). Furthermore, changes in neighborhood social norms are found to have no statistical significant effect on the incidence of sexual violence. In conclusion, changing gendered social norms related to wife-beating will not result in significant reductions in different forms for IPV at the population level. The online version of this article ( https://doi.org/10.1007/s11121-019-01010-8) contains supplementary material, which is available to authorized users. We wish to acknowledge the Ministry of Health of Uganda and Demographic Health Survey program, who granted us access to use the DHS data. Furthermore, we are grateful to the East Africa Social Science Translation Collaborative under the Center of Effective Global Action, University of California, Berkeley (EASST/CEGA), for having awarded the lead author the Fall 2017 EASST/CEGA Impact Evaluation Fellowship, during which manuscript preparation and statistical data analysis were carried out. This is not applicable in this study. The paper utilized secondary data of the Demographic Health Survey program, and permission to use these publically available data was obtained from http://www.dhsprogram.com before data download and subsequent statistical analysis. As such, no ethical reviews and approvals were required before or during preparation of the present manuscript. This is not applicable in this study. This is a simulation-based manuscript based on secondary data of the Demographic Health Survey program. There was no interaction with human subjects during preparation of this manuscript. Greene, M. E., & Levack, A. (2010). Synchronizing gender strategies: A cooperative model for improving reproductive health and transforming gender relations.. (Interagency Gender Working Group (IGWG)) Washington, DC: Population Reference Bureau. Retrieved from http://www.prb.org/igwg_media/synchronizing-gender-strategies.pdf. Accessed 5 Dec 2017. Heise, L. (2011). What works to prevent partner violence? An evidence overview(Monograph) London School of Hygiene and Tropical Medicine. Retrieved from http://strive.lshtm.ac.uk/resources/what-works-prevent-partner-violence-evidence-overview. Accessed 2 Nov 2017. Johri, M., Morales, R. E., Boivin, J.-F., Samayoa, B. E., Hoch, J. S., Grazioso, C. F., … Arathoon, E. G. (2011). Increased risk of miscarriage among women experiencing physical or sexual intimate partner violence during pregnancy in Guatemala City, Guatemala: Cross-sectional study. BMC Pregnancy and Childbirth, 11(1). doi: https://doi.org/10.1186/1471-2393-11-49. R Core Team. (2017). R: A language and environment for statistical computing (Version 3.4.1). Vienna, Austria: R Foundation for Statistical Computing. Retrieved from https://www.R-project.org. Raising Voices, LSHTM, & CEDOVIP. (2015). Is violence against women preventable? Findings from the SASA! study summarized for general audiences. Kampala. Kampala, Uganda. Retrieved from http://raisingvoices.org/wp-content/uploads/2016/01/SASApopularReport.FINAL_.jan2016.pdf. Accessed 10 Nov 2017. Shakya, H. B., Hughes, D. A., Stafford, D., Christakis, N. A., Fowler, J. H., & Silverman, J. G. (2016). Intimate partner violence norms cluster within households: An observational social network study in rural Honduras. BMC Public Health, 16(1). doi https://doi.org/10.1186/s12889-016-2893-4. StataCorp LLC (2017). Stata data analysis and statistical Software: Release 15. College Station, TX: StataCorp LP. Retrieved from https://www.stata.com. Uganda Bureau of Statistics [UBOS], & ICF International. (2012). Uganda Demographic and Health Survey 2011. Kampala, Uganda: UBOS and ICF International. Retrieved from http://dhsprogram.com/publications/publication-fr264-dhs-final-reports.cfm. Accessed 3 Sept 2017. Uganda Bureau of Statistics [UBOS], & ICF International. (2017). Uganda Demographic Health Survey 2016: Key Indicators Report. Kampala, Uganda: UBOS, and Rockville, Maryland, USA: UBOS and ICF International. Retrieved from http://dhsprogram.com/publications/publication-PR80-Preliminary-Reports-Key-Indicators-Reports.cfm. Uganda Bureau of Statistics [UBOS], & Macro International. (2007). Uganda Demographic and Health Survey 2006. Calverton, Maryland, USA: UBOS and Macro International. Retrieved from http://dhsprogram.com/pubs/pdf/FR194/FR194.pdf. Accessed 20 March 2018. Van Parys, A.-S., Deschepper, E., Roelens, K., Temmerman, M., & Verstraelen, H. (2017). 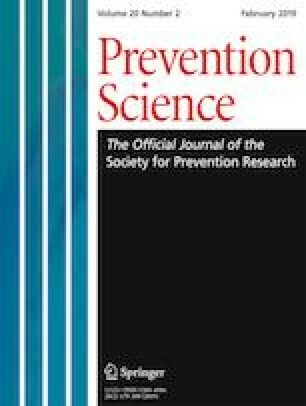 The impact of a referral card-based intervention on intimate partner violence, psychosocial health, help-seeking and safety behaviour during pregnancy and postpartum: A randomized controlled trial. BMC Pregnancy and Childbirth, 17. https://doi.org/10.1186/s12884-017-1519-x.